The Government has yet to make a convincing case as to why the �50 billion HS2 high-speed rail project is necessary, a highly-critical report by a House of Lords committee has said. 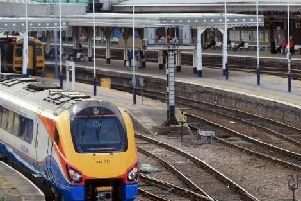 Sheffield’s phase of the £50 billion HS2 high-speed rail project should be fast-tracked, a report by a House of Lords committee has said. The city is due to be part of a second phase of the controversial project that will not be completed until the early 2030s, with its high-speed station due to be built at Meadowhall. But a critical new report by the Lords Economic Affairs Committee has questioned the current plans, which will see the first phase from London to Birmingham operating by 2026. In their report, the peers said London is likely to be the biggest beneficiary of HS2 under the current proposals. But it added there is a ‘strong case’ for building the second phase of HS2, also involving Manchester and Leeds, first. It also backed the idea of HS3, a further trans-Pennine link between major northern cities including Sheffield. Committee chairman Lord Hollick said: “At £50 billion HS2 will be one of the most expensive infrastructure projects ever undertaken in the UK but the Government have not yet made a convincing case for why it is necessary. A Department for Transport spokesman said: “The case for HS2 is crystal clear. It will have a transformational effect, supporting growth in the North by improving connectivity, freeing up space on our crowded rail network, promoting regeneration, boosting local skills, generating tens of thousands of jobs and helping secure the UK’s future prosperity. The spokesman added: “We have been fully transparent about the project. HS2 will deliver over £2 of benefits for every £1 invested and the economic benefit of the project was recognised by MPs of all parties who voted 452 to 41 in favour of HS2 at the second reading of the hybrid Bill. “Their strong support is shared by the Commons Transport Committee which backs the strategic business case and is confident that HS2 is the only practical way to significantly increase rail capacity. Stop HS2 campaign manager Joe Rukin said: “The Lords have paid attention to what so many of us have been saying for five years about the case for HS2, and have concluded that there isn’t a case for HS2.